Japanese, Okinawan and white residents are significantly wealthier than Native Hawaiians and more recent immigrants from Polynesia and Micronesia. 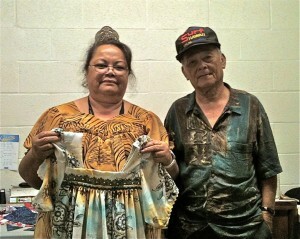 More than half of Hawaii’s Marshallese community lives in poverty. 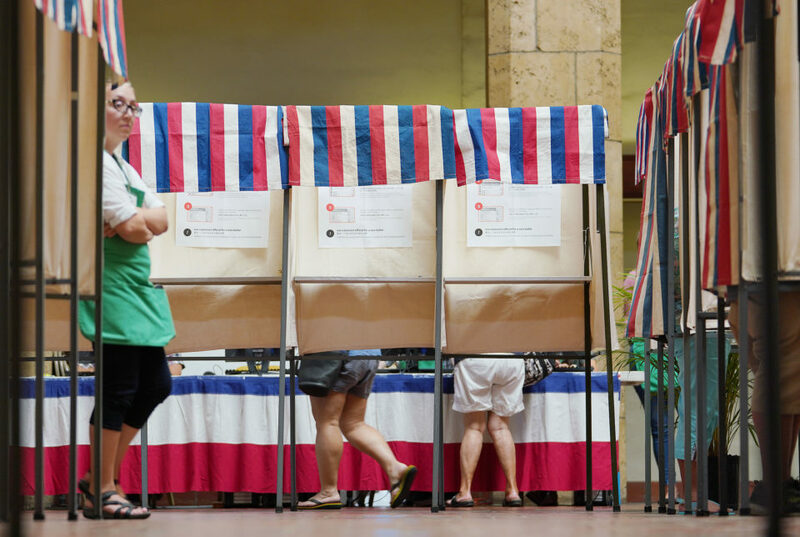 That’s according to a new state study of census data showing significant inequality among Hawaii’s different racial and ethnic groups. 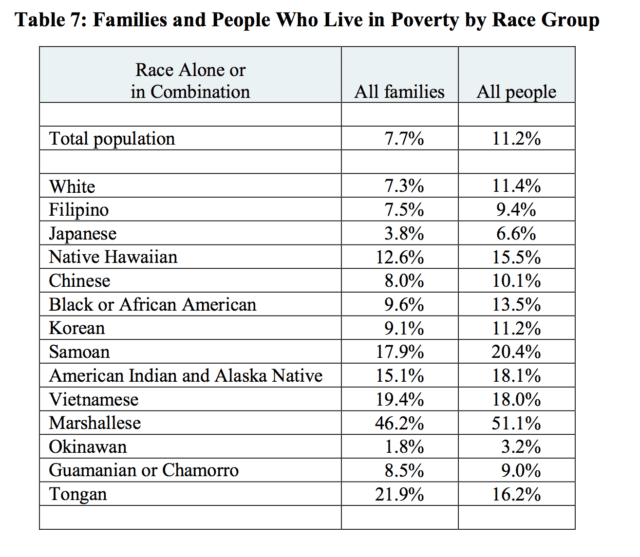 Although Hawaii has a reputation as a “racial paradise” and Asian-Pacific Islanders are often considered a single racial category, there are huge differences in socioeconomic well-being among Hawaii’s various Asian and Pacific Islander communities. Researchers at the Department of Business, Economic Development and Tourism reviewed American Community Survey data from 2011-2015 and broke down income, education, employment, housing and other measures across 14 groups. State economist Eugene Tian says long-time immigrants such as Japanese, Korean, Chinese and Filipino communities have relatively higher homeownership rates, which are strongly correlated to income and better economic well-being. 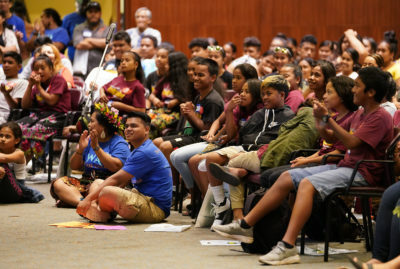 In comparison, newer immigrant groups like Marshallese, Tongans and Samoans are struggling with higher poverty, unemployment and overcrowding rates. Meanwhile, Native Hawaiians continue to struggle with a poverty rate of 15 percent — the highest of the state’s five biggest groups. 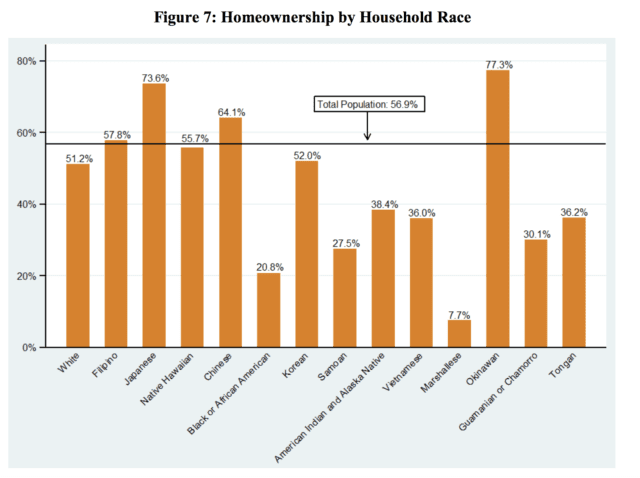 Hawaii’s indigenous community also had the lowest median household income of the five biggest groups, although they had relatively high homeownership rates. Hawaii’s Marshallese community has by far the lowest per capita income, according to a new study from the Department of Business, Economic Development and Tourism. 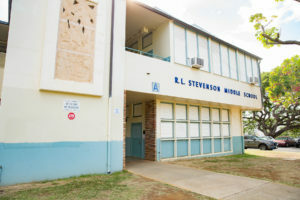 But by far, Hawaii’s poorest community is the Marshallese — more than half live in poverty, more than twice as high as the second most-impoverished community, Samoans, who have a 20 percent poverty rate. The statewide poverty rate is 11 percent and only 3.2 percent for Okinawan or 6.6 percent for Japanese residents. Marshallese residents also had the highest rate of civilian unemployment — more than 16 percent compared with 6.6 statewide. 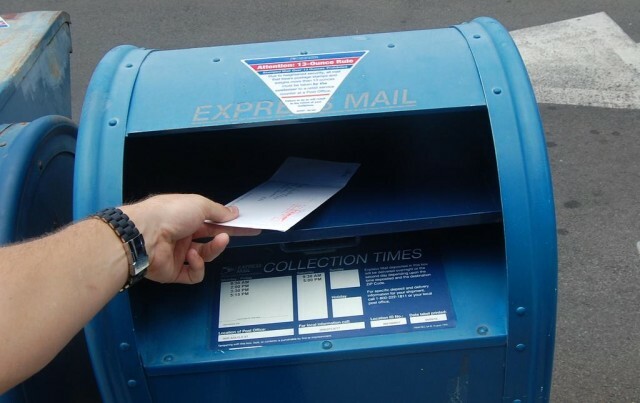 The median household income for Marshallese was $32,650 — compared with $69,515 statewide — and their per capita income was only $5,963, compared with more than $29,000 statewide. 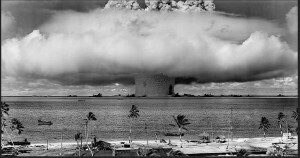 The Marshallese community suffered from the worst overcrowding, followed by Samoan and Tongan residents. For owner-occupied units, the average household size statewide was 3.17. For Marshallese, the average household size was 16.45. 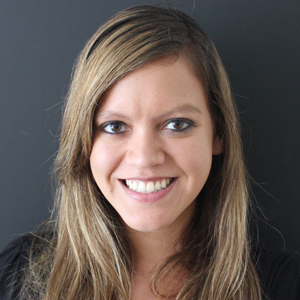 Poverty rates for more recent immigrant groups are significantly higher than well-established immigrant groups, according to an analysis by the Department of Business, Economic Development and Tourism. As of 2015, about 9,000 Marshallese lived in Hawaii, according to the report. 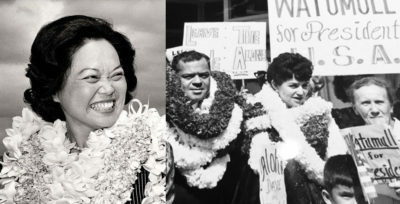 Immigrants from the Marshall Islands come to Hawaii under a treaty called the Compact of Free Association. 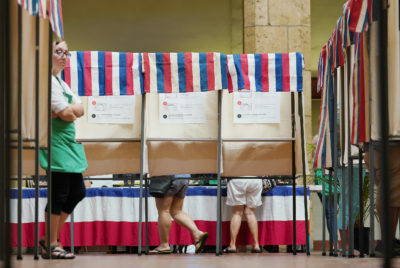 They pay taxes but are ineligible for many safety net programs like food stamps “that are designed to lift people out of poverty while they’re struggling,” explains JoJo Peter, a board member on the Hawaii Civil Rights Commission. Limited access to Medicaid is another major barrier to success, he adds. “If you’re working poor you’re going to be spending more and more of that little money that you work for to pay for your health,” Peter says. Despite the sobering statistics, Tian from DBEDT says that the median age of Marshallese residents is only 18.5 years old and that’s encouraging. The crowd at the We Are Oceania Micronesian Festival held at the East-West Center at UH Manoa earlier in March. 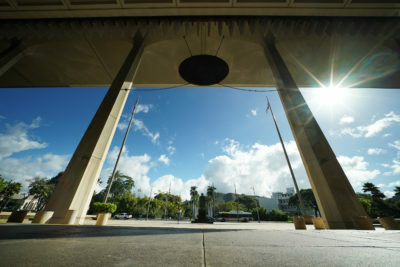 Charity Joel, a member of the community advocacy group We Are Oceania, says that Marshallese immigrants have a hard time navigating Hawaii’s unfamiliar systems and often struggle to find jobs with limited English proficiency. Some crowd into housing due to the high cost of living, and others leave to cheaper states like Arizona where it’s easier to find a job without a degree. But Marshallese kids growing up in Hawaii are learning how to speak up for themselves and navigate both cultures. “I’m sure they’re more confident and they will be more successful in finding jobs and going on to higher education,” Joel says. 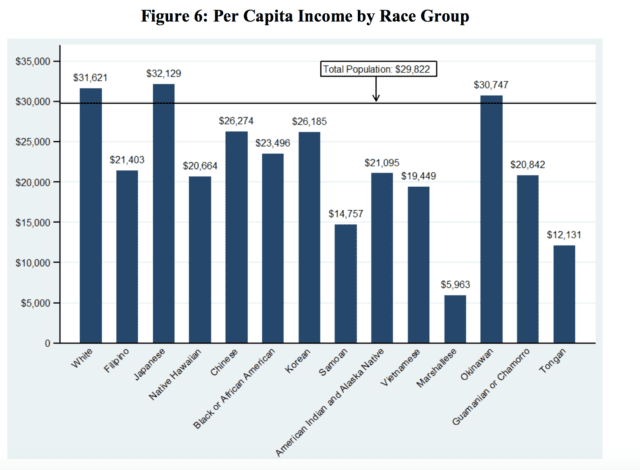 The study found that whites, Okinawans and Japanese were doing well economically compared to other racial groups. 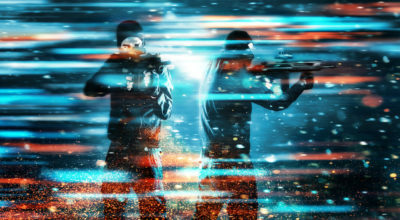 They were the only three groups with a higher per capita income than the state average of $29,822. Japanese and Okinawan residents also had the highest rates of homeownership — more than 70 percent compared to 56.9 percent statewide. Nearly all of Hawaii’s white, Japanese, Okinawan and African-American populations had at least a high school diploma. Homeownership rates correlate with better economic well-being, says state economist Eugene Tian. Okinawans, Japanese, Koreans, Filipinos and Chinese all had relatively low unemployment rates — equal to or below the state civilian, or non-military, unemployment rate of 6.1 percent. 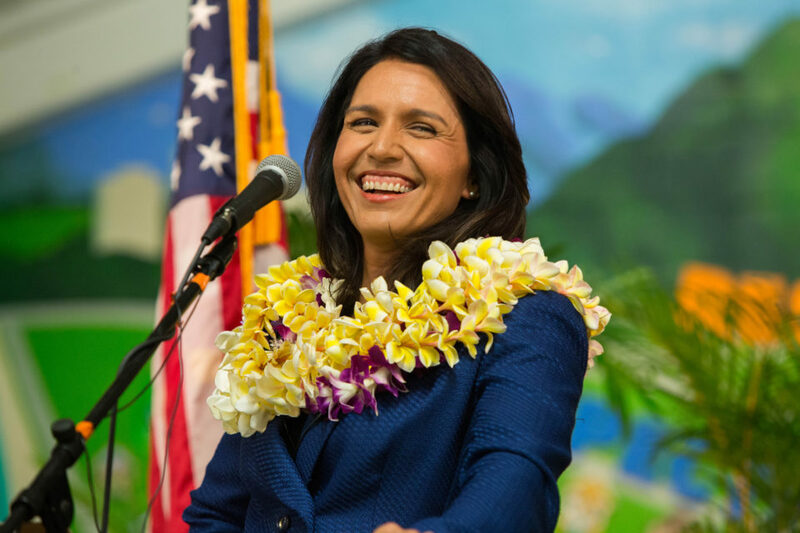 Chamorros or Guamanians, American Indians and Alaska Natives, and the Marshallese all had unemployment rates two to three times as high as the civilian unemployment rates of Japanese, Okinawans and Koreans. Native Hawaiians make up a fifth of the population but continue to struggle compared to whites, Japanese, Koreans, Chinese and Filipinos. Only 11 percent of Native Hawaiians older than 25 had a bachelor’s degree, far less than 20 percent for the total population. Twenty-two percent of whites had a bachelor’s degree; compared to 26 percent of Japanese and more than 28 percent of Okinawans. 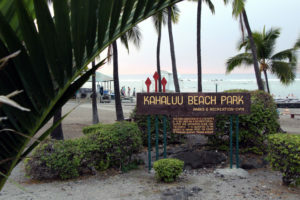 The civilian unemployment rate for Native Hawaiians was 9 percent, more than twice as much as the civilian unemployment rate for Hawaii’s Japanese community. 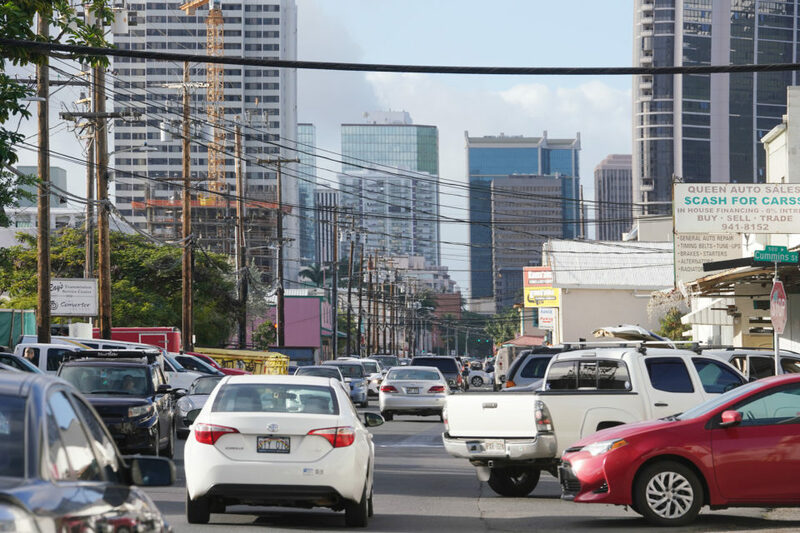 The median household income for Native Hawaiians still lagged behind the statewide median household income. 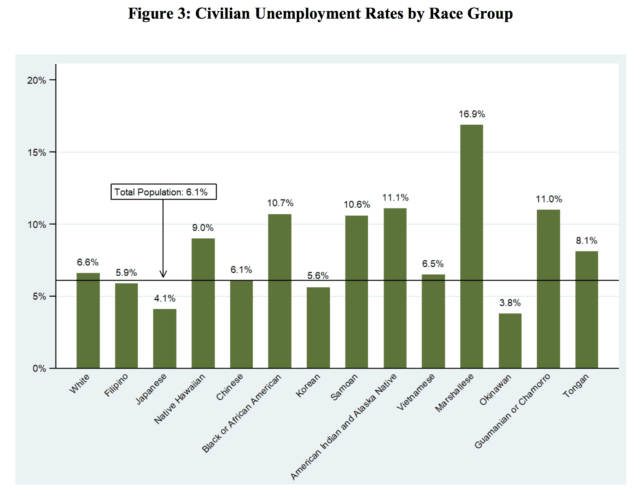 Unemployment rates vary greatly between racial groups in Hawaii, according to this graph from the Department of Business, Economic Development and Tourism. The state’s analysis doesn’t include data for Chuukese residents or other immigrants from the Federated States of Micronesia. Nor is there data for immigrants from the Republic of Palau. Tian says that’s because those populations were too small to include. The study also doesn’t mention Latino or Hispanic residents. That’s because the Census does not include those categories under “race,” Tian explained. 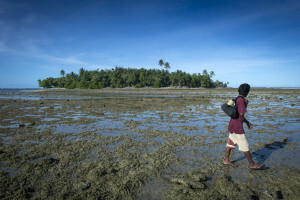 Data for smaller communities like the Marshallese or Tongans also have relatively large margins of error. The study found African-Americans had the highest overall employment rate, with a fifth in the armed forces. Hawaii’s African-American community also had the highest rate of government employees, followed closely by Okinawans. Hawaii’s Vietnamese community had the highest rates of business ownership.